SO... who still watches ANTM? *raises hand sheepishly*. I should have outgrown it by now, but it's just so darn entertaining. There are a few black and mixed girls but what brought me into my own space this week was the teasing of Brenda. Both comments spawned from her new hair cut and color. 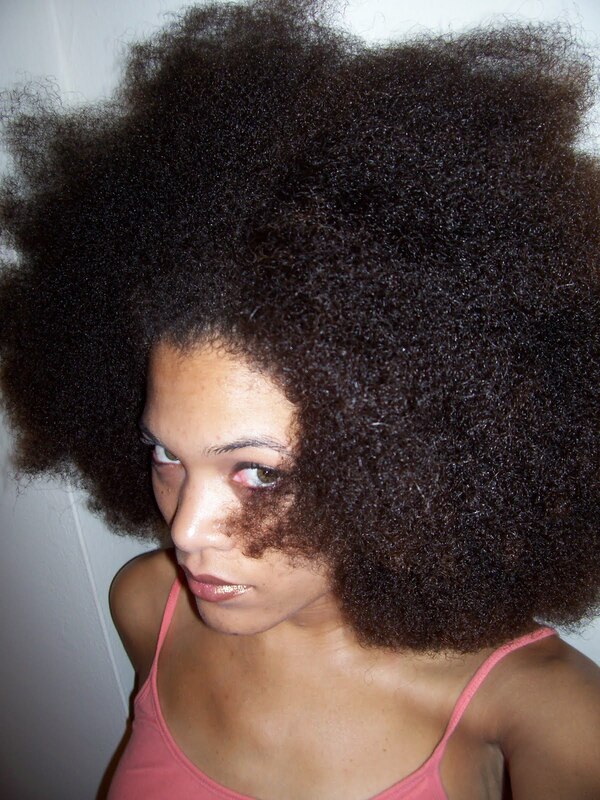 Short or curly red hair is stigmatized in the commercial-straight-hair community. Both comments really hurt Brenda's feelings but were obvious digs based on something only moderately similar. So why did the comments come into my living room and sit on my lap? Who do I get "compared" to in that same way... over and over, since 2001? He has red hair too, but what makes him comparable to me? His CrAzy hAiR. His big, all over the place hair, forming a free form fro of sorts. I have had associates, co-workers, strangers, and even so-called suitors tell me "Oh, you know who you look like!? that character from the Simpson's! Side..." show Bob. Thanks. "Do you ever think about straightening your hair?" "Is that ALL your hair?" "You looked really nice in these old pictures. Straight hair looked good on you!" "OH, I love you hair this way (pressed). It looks so ELEGANT!" "Ghasp- a ball/wedding/black tie event! But what are you going to do with your hair?" "How long does it take you to... um, do... your hair like that." "I always think you are in a bad mood when you pull it back. What does it mean when you wear it different?" When I was young it would bother me. Never enough to make me change it, but enough to make conscious of my "bad behavior". It made me more cognizant of the rift between the ideal beauty and my beauty. Our beauty is complex and naturally feminine and unique. I would not give my coils and kinks back for the world. Go 'head girl! Tell 'em! -D.W.
LOL! great comeback. Can I borrow? I do understand how you feel though. After I got my hair pressed once, I had to go to a study session. As soon as I got to the cafe, one of my classmates(who wears her hair relaxed) gasped "Wow! Finally I see your hair. You look so pretty, you should always wear it like this!" She even offered to by me a drink. It was embarrassing. Was she ignoring my hair before? It bothered me, but I'm learning to deal with people who don't think before they speak. I love it! I have had some of the same comments made to me. One day I even rocked my hair completely blown out to work, and all day people kept asking me if I was ok...:-) Gotta love it! Oooh I'm gonna use that line! Love IT!!! My daughter gets the side show Bob comment A LOT. Furthermore, my in laws have said that I'm teaching her to be eccentric because her hair is natural. I mean come on she is 6 years old!! Why is that eccentric?? @anonymous- some people just don't understand hair unless it is the context of mainstream hair maintenance. She saw your hair everyday but was not able to compare or rate it because is was in a "foreign format" Some woman are all bout length too, dying to see how long it is. THEN you get cute points. LOL w/Kisha. Yeah same thing! when I wore it pulled back they told me they thought I was having bad days- severe hair! lol I didn't know they were peeping me like that. They also told me I had an attitude... hmmm intimidated much? I don't work there any more. I was the ONLY of too many things there. @ Bianca wow- she's 6! She should feel pretty without any type of heat or chemical torture session. I mean, what does changing their hair teach the lil girls to be? free license on the re-tort! First time commenting here but I've had your site bookmarked since deciding to transition last summer (still hanging in there!). *Love* your hair! It's too bad that people feel our natural texture is an invitation to openly insult us. @ TAB thanks! and I think that reason for transitioning is honorable, in addition to all the other reasons high texture is great! "To all this I say (insert F. U. fro pic)." HA! I feel you 100%. I would pay to see the blank stare you gave the person who asked if pulling your hair back was somehow related to your mood. Um. @Amy and your hair is far from side show bob...it is simply beautiful!!!! I'm late reading this post, but I love it. I have a coworker who told me "I always thought the Afro was such a silly hairstyle, I mean, who wants to look like a clown." What is so funny about our hair in its natural state? I wear my hair relaxed. I admire natural hair. My mother is natural. I've been thinking about it for years. I love this post. Your hair is beautiful. I HATE the sideshow bob comment. It really irks me. Even though sometimes a fresh chunky twist out bears a slight resemblance. It still irks me. I just don't think a lot of people are ready to deal with natural beauty. 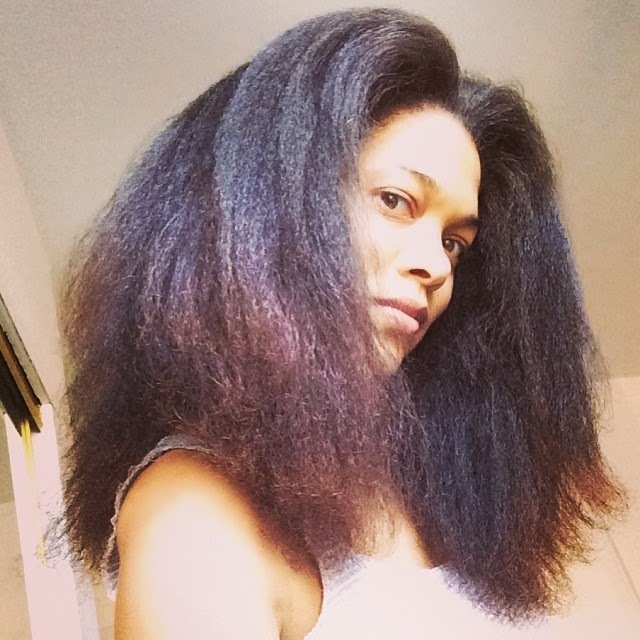 So many hair products out there make it easier to have relaxed hair, and natural beauty is just resently becoming a focus in the hair industry. It was hard when I first went natural, and I got sick of people saying their hair was too "nappy" to do it. Anyone can be natural if they put their mind to it. I don't have "good hair", I have hair I've learned how to take care of. I just discovered your blog and i AM SO HAPPY i DID. I've been wanting to go natural and you've inspired me so much! !